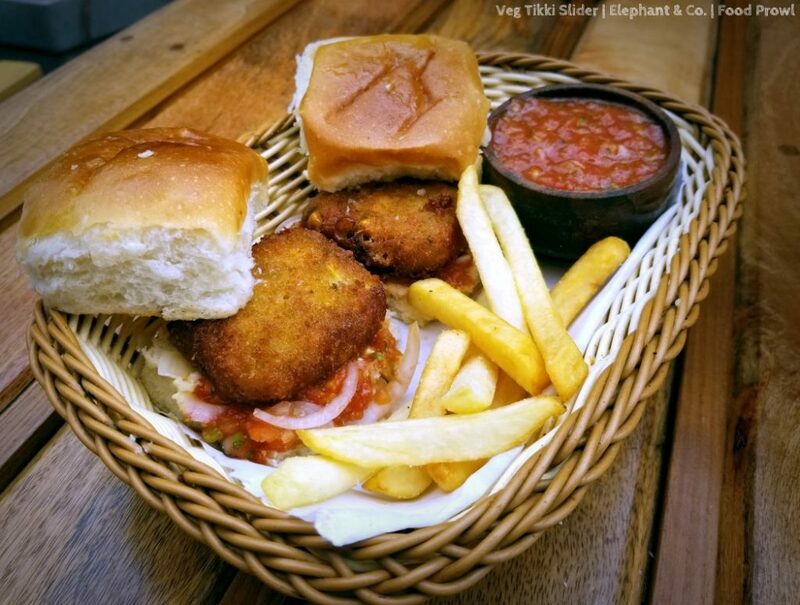 Restaurant Name and Address: Elephant & Co. Shop No.5, Ground floor, Sai Heritage, Baner, Pune, Maharashtra 411045. 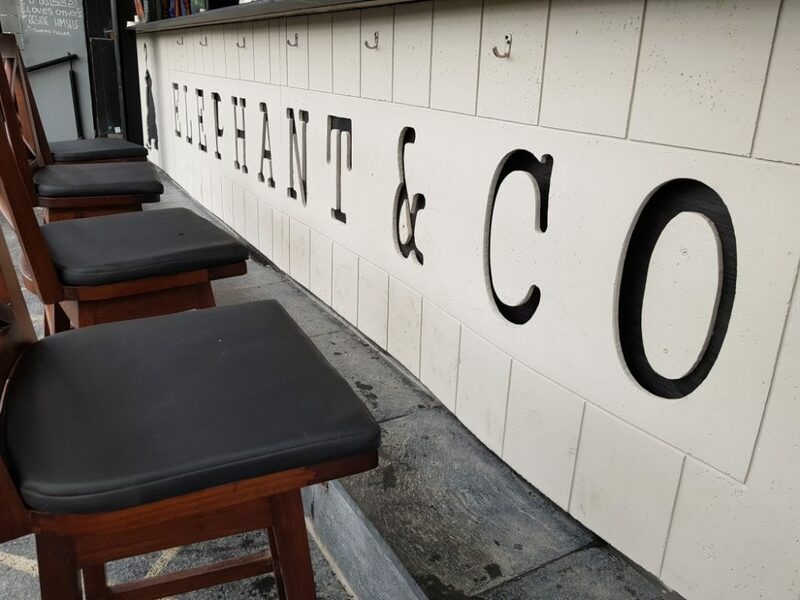 Elephant & Co. at Kalyani Nagar has been one of the most happening party destinations in East Pune. Known for the cocktails as well as food this place is packed to the brink every day. Their list of patrons is ever growing, mostly brimming with youngsters in their 20’s and 30’s who come down to let their hair down over some great music, food and drinks that are also very competitively priced. 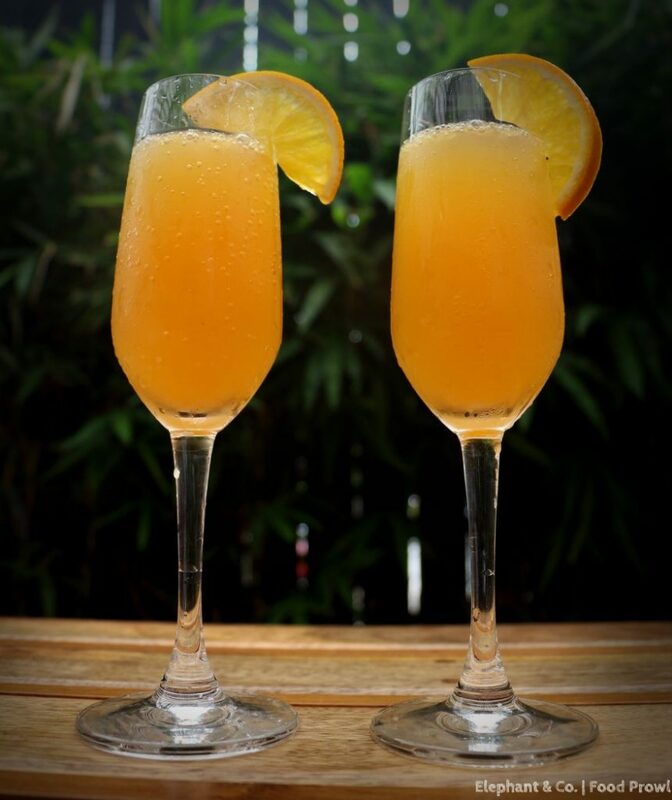 It’s a place you MUST visit if you are a lover of good cocktails and food. 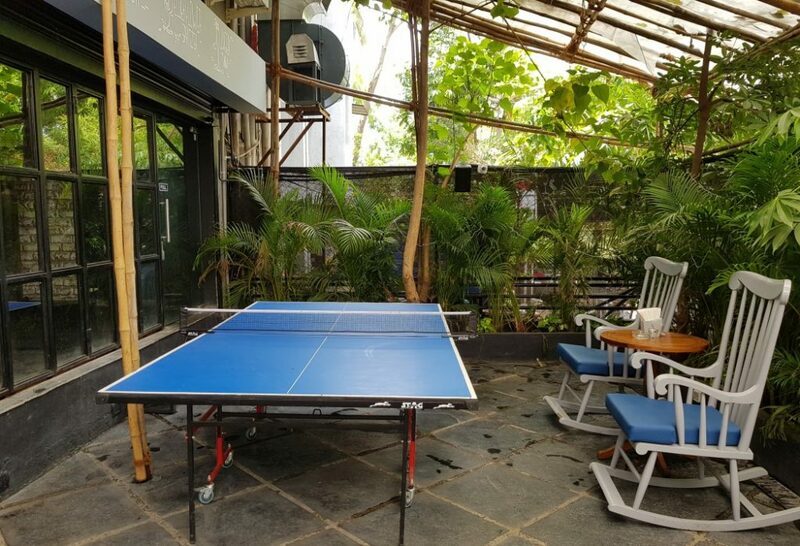 After running ECO (as it’s called in short) successfully for the past couple of years in Kalyani Nagar, the owners, Karan Khilnani, Anuj Solanki and Karan Kulkarni decided to head to West Pune – Baner, popular destination for the hospitality industry these days. The Food Prowl Team was invited for a food tasting just after their launch of the Baner branch. 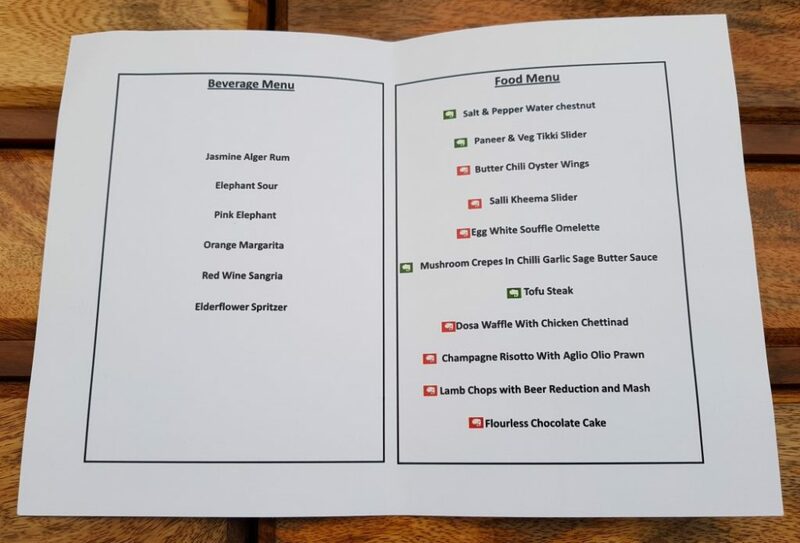 Anuj and Executive Chef – Sohini Bhattacharyya were our gracious hosts. 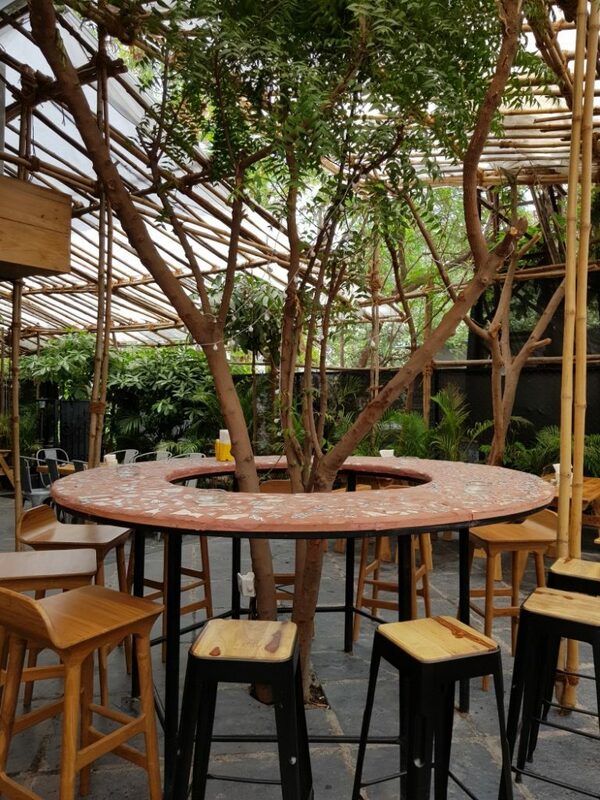 ECO Baner has a much bigger alfresco seating and has is more inclusive towards the family crowd and like Kalyani Nagar they also allow pets here. 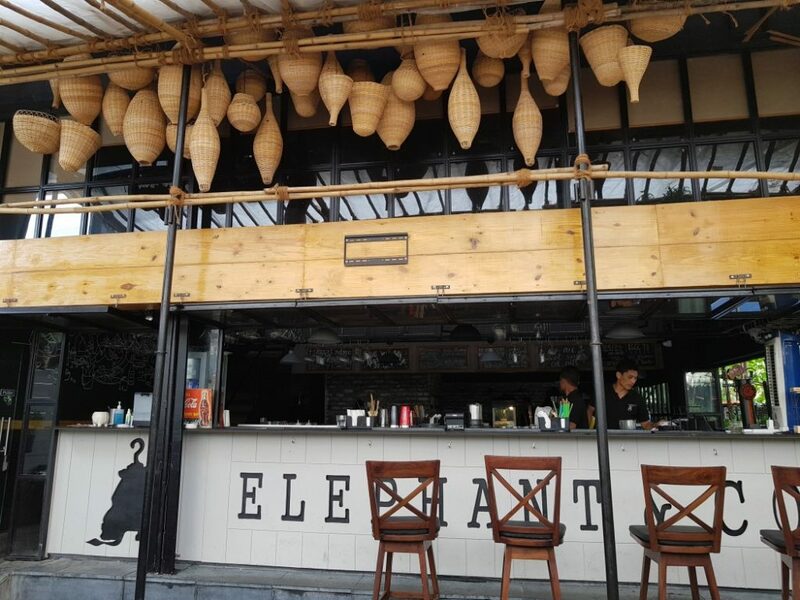 ECO Baner also replicates most of the look of its Kalyani Nagar counterpart, patrons from there surely won’t miss a thing at Baner. The central Bar is bigger as well and serves both the indoor and outdoor tables. 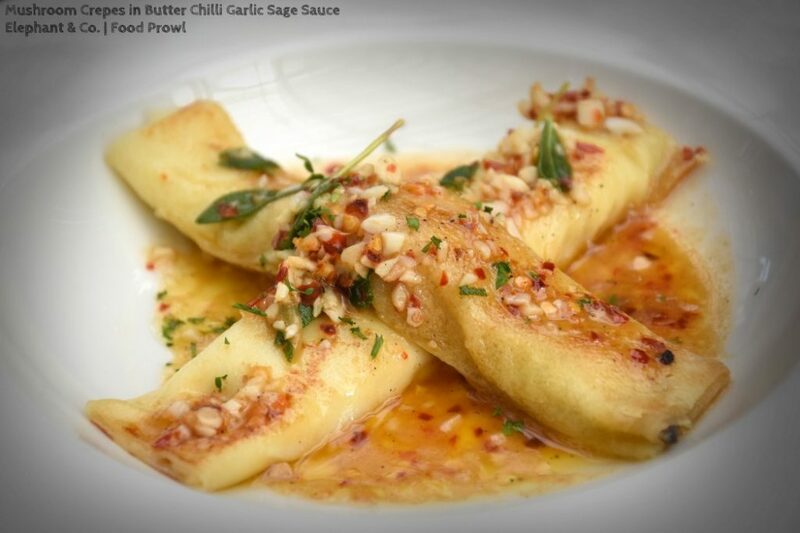 The food menu is twice that of the Kalyani Nagar branch. So overall, ECO has just upped the ante. 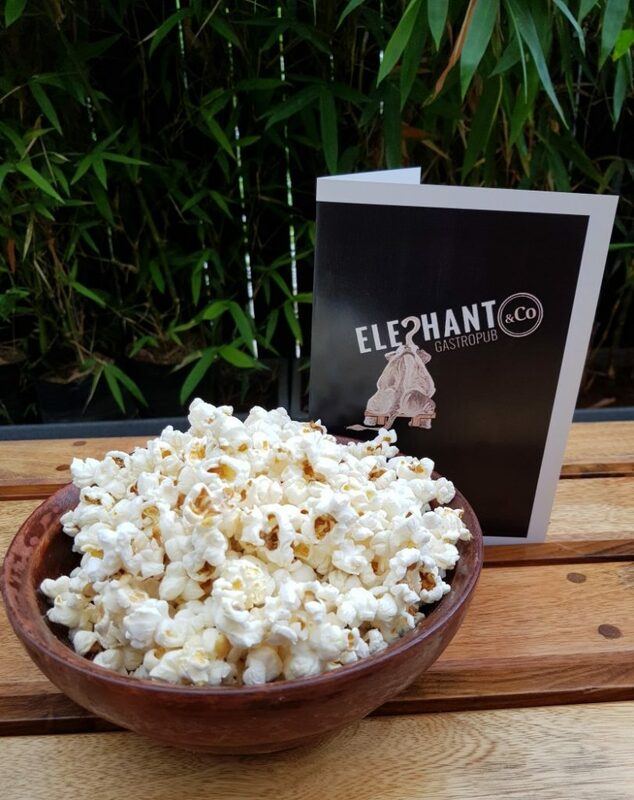 Our food tasting started with Virgin Mimosa style welcome drinks, refreshing us in the hot and sunny afternoon followed by Popcorn which is served at every table before you even place your order and it’s a really good way to keep the guests busy while they are awaiting their order. 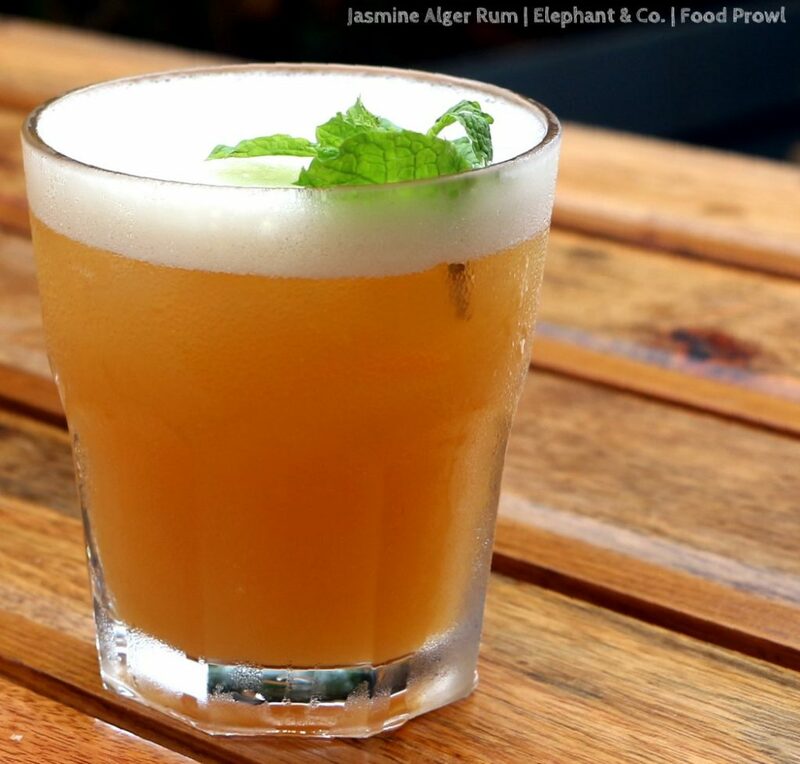 Jasmine Alger Rum: A smooth flowery drink with a potent after taste. 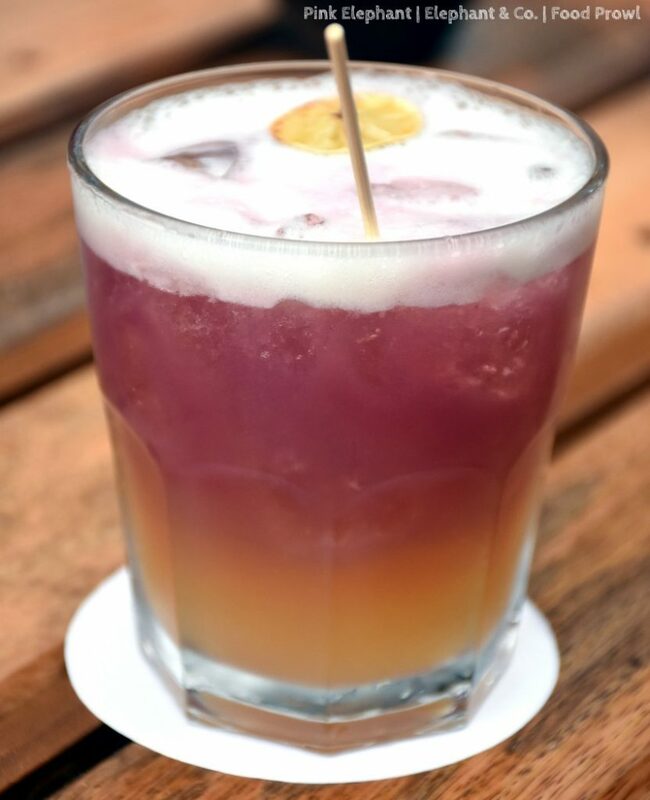 Elephant Sour: A colorful twist on whiskey sour and it worked well. 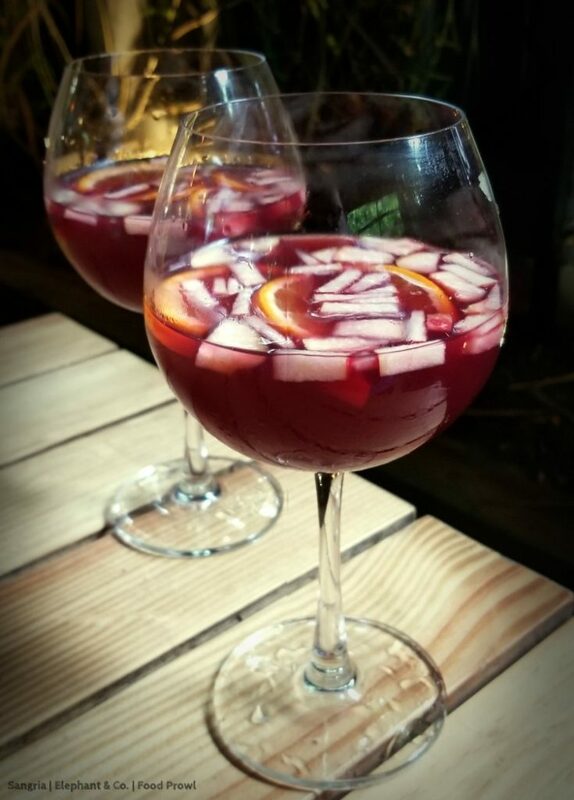 Red Wine Sangria: Good as always. 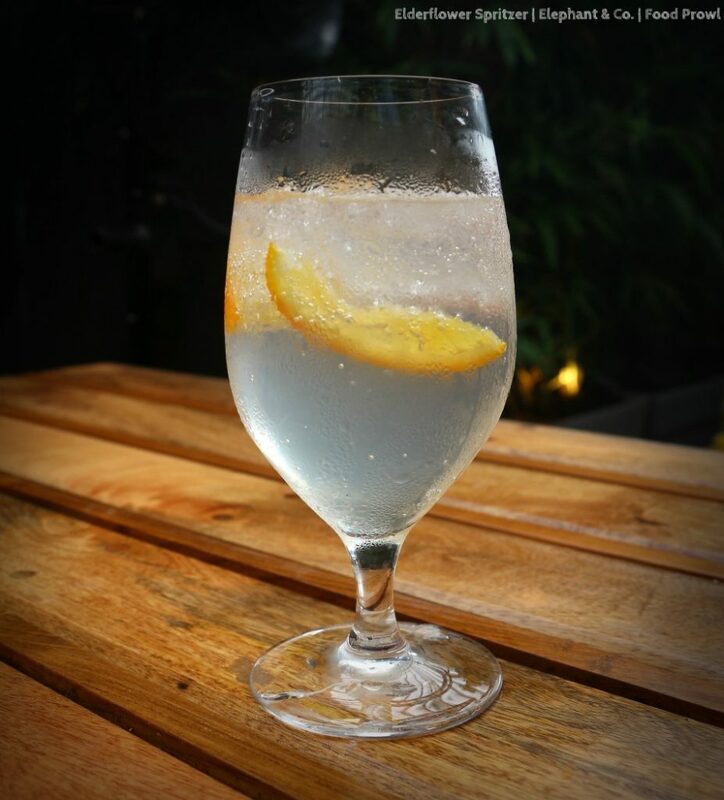 Elderflower Peach Spritzer: One of the best cocktails available in Pune. There is an Iceberg style cocktail, we opted for Berry. 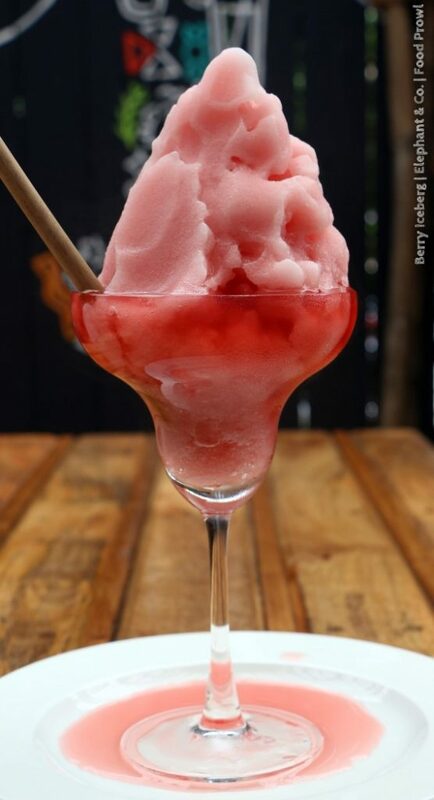 A heap of ice with berry flavors and vodka. There are more options as well and if fruity cocktails are your thing, then you surely need to try these. 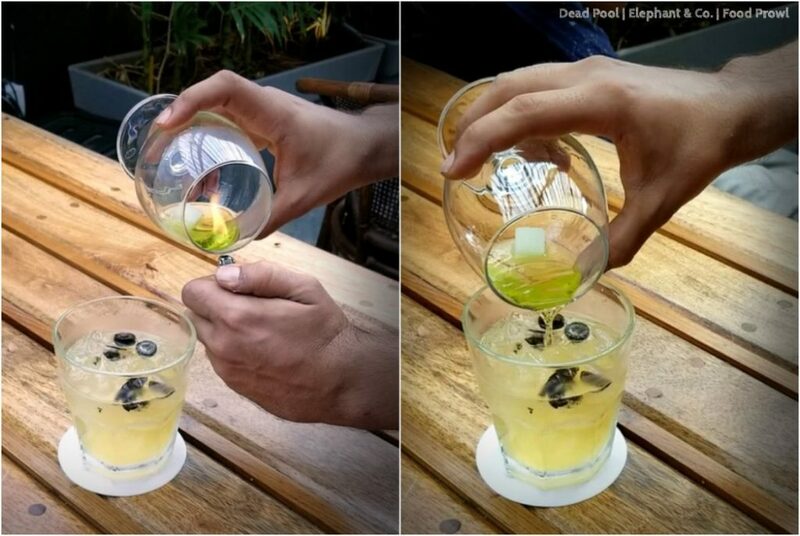 Deadpool: It’s one of the most potent drinks in town and can give you the “kick” pretty quick. It has Absynthe and Whiskey with all the frills added. 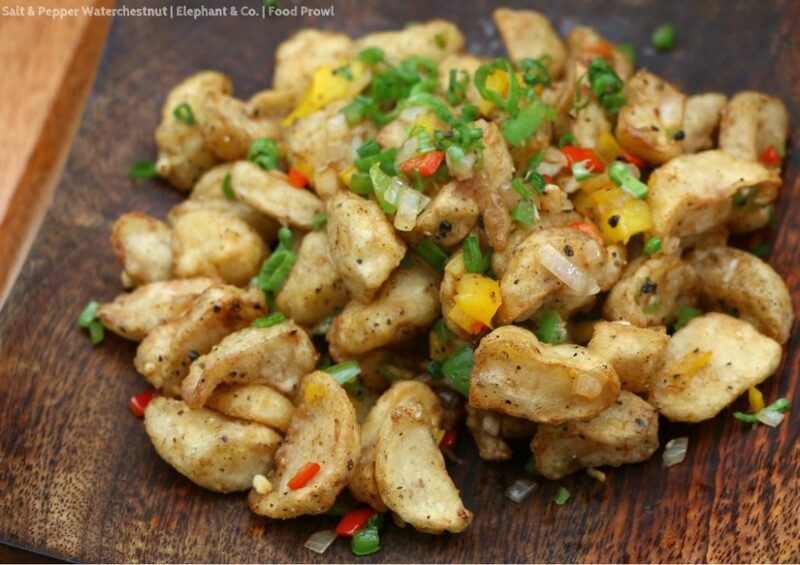 Salt & Pepper Water Chestnuts: There are many versions of salt and pepper dishes but water chestnuts made this one unique. 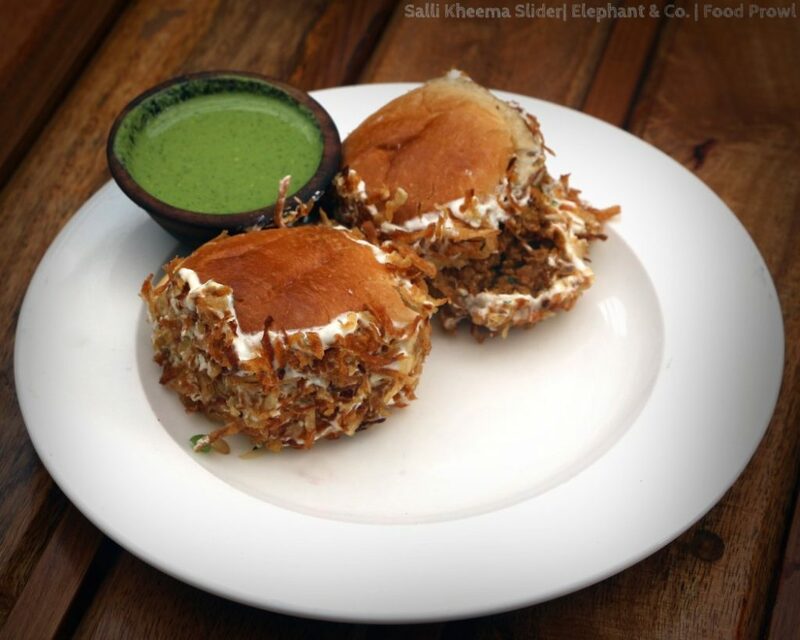 Veg Tikki and Sali Kheema: Both the sliders were prepared well; the buns were soft and the in-betweens flavorful. 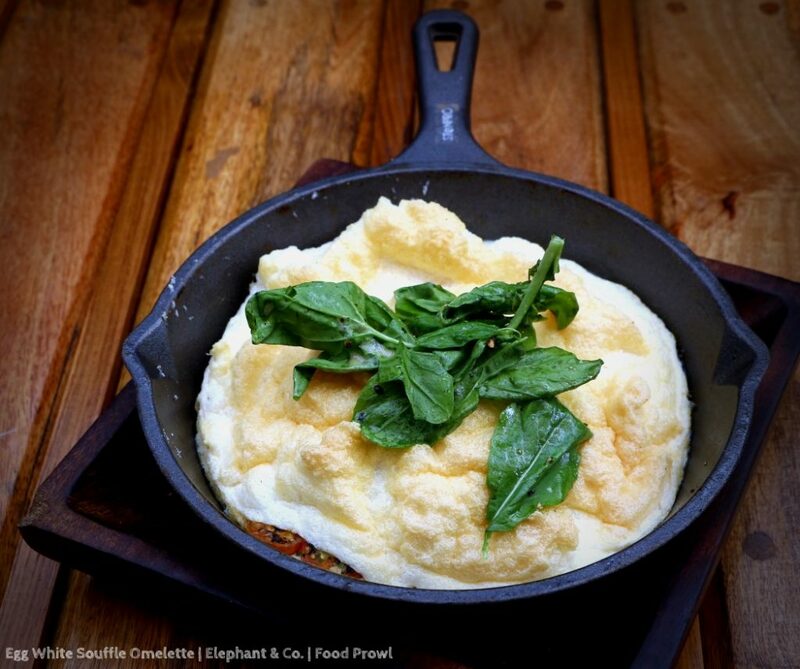 The Egg White Souffle Omelette: An apt dish for brunch, the omelette was very gourmet with a layer of fluffy egg whites encased with cherry tomatoes, onions and basil, minimalistic in flavor yet very delicious. 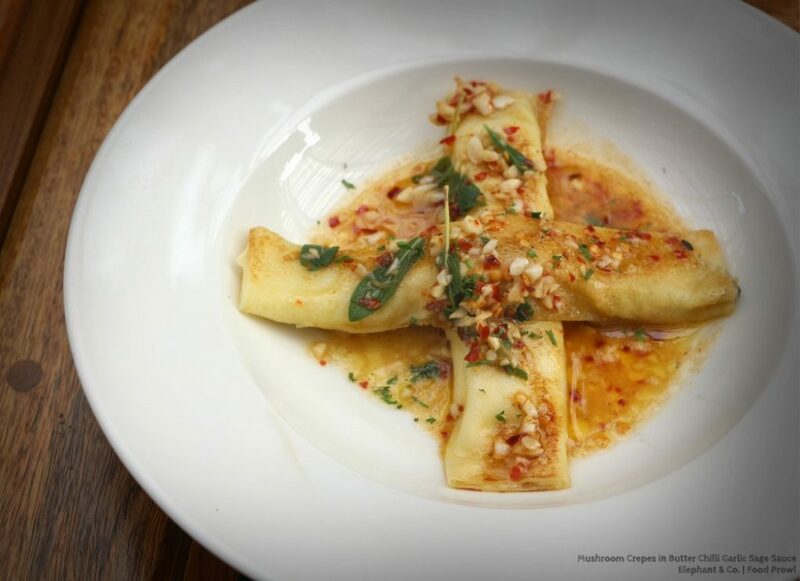 Mushroom Crepes in Chilli Garlic Sage Butter Sauce: This was easily the “Dish of the Day” as it was perfect with thickness of crepes the flavor and quantity on mushroom filling and the sauce on top. It is a highly recommended dish. Dosa Waffles with Chicken/Prawns Chettinad: Another stellar fusion dish from ECO normally. Unfortunately, the waffle iron ditched them during our food tasting and the waffles didn’t turn out to be that crisp. 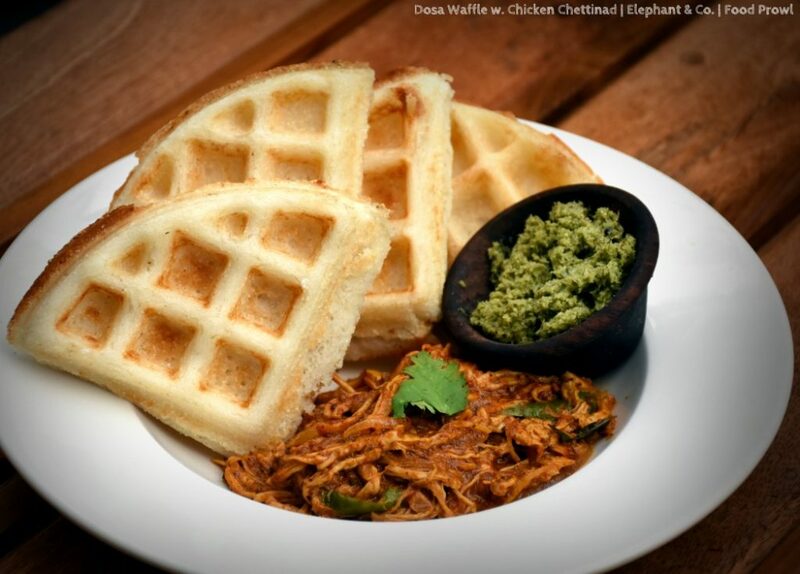 The waffle is made with dosa batter is gets best of two worlds together. 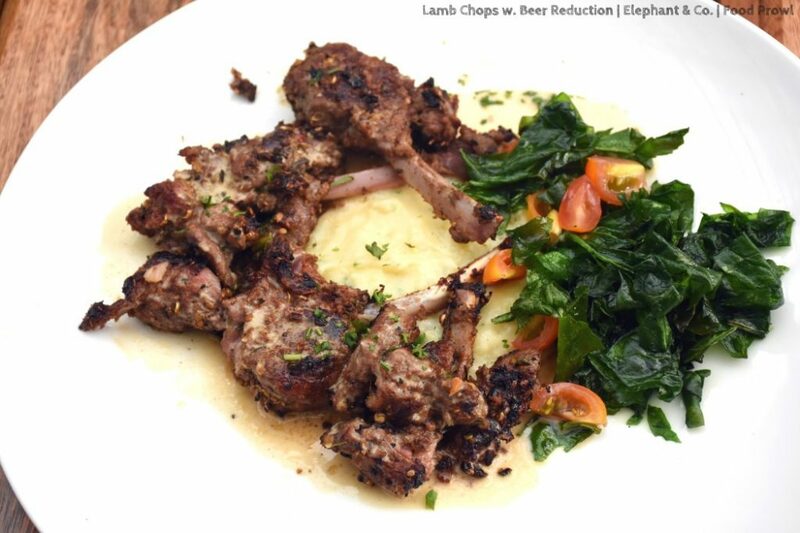 The Lamb Chops with Beer Reduction: These were also very good, cooked tender, what really takes this dish to another level is the use of “khada dhaniya” in it. 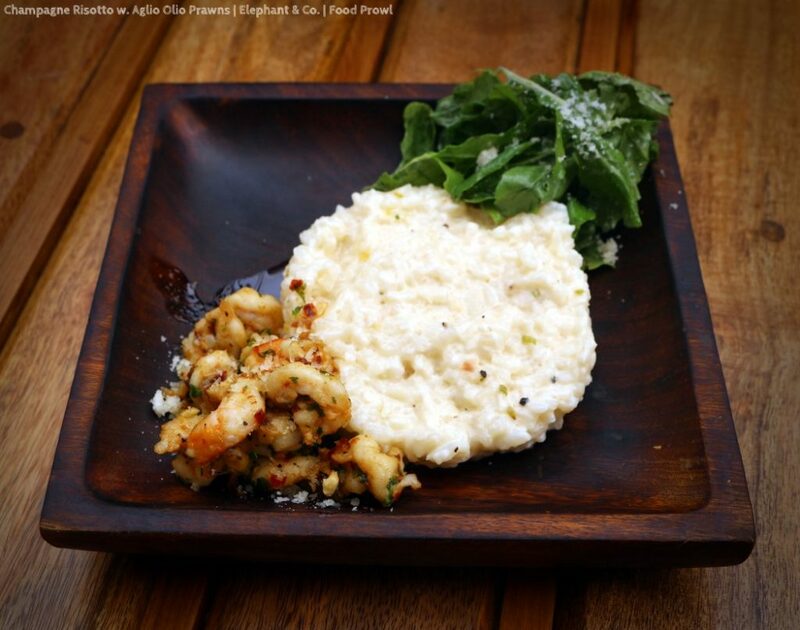 Champagne Risotto with Aglio Olio Prawns: A very mildly flavored risotto rightfully due to the champagne, could do with a slight seasoning it its to be had on its own, but paired with those lovely prawns on the side, it blossomed up really well. 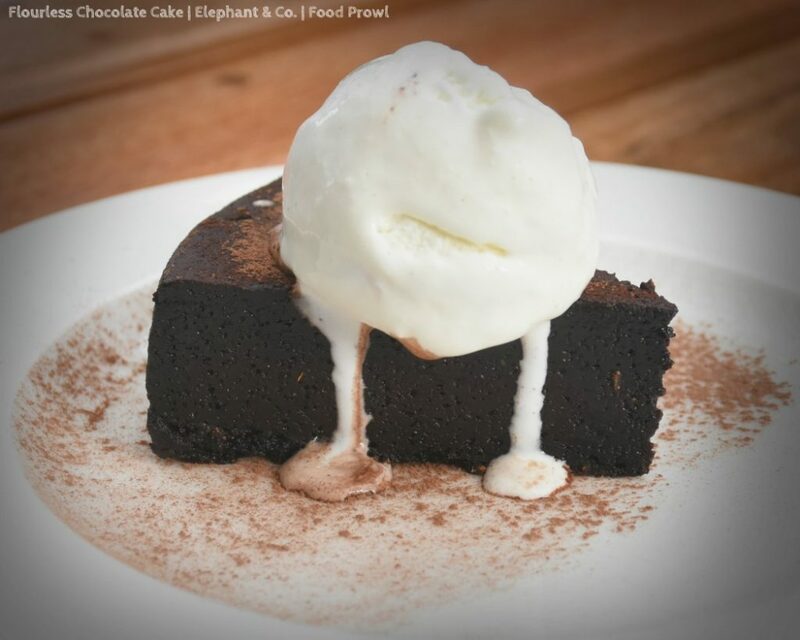 Flourless Chocolate Cake that was gooey, rich and moist all at the same time, served with vanilla ice cream. 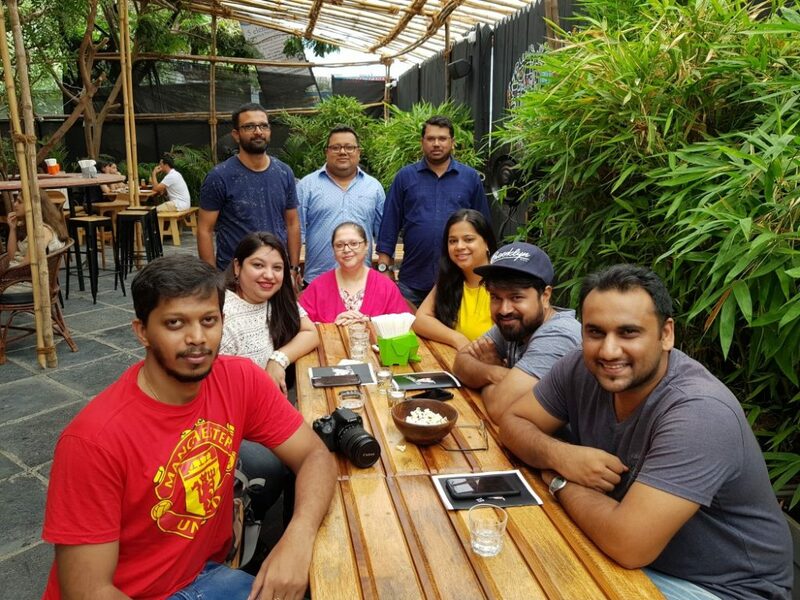 With that our fab Sunday brunch came to an end and we will have to go back to Baner to try out all the other food surprises they are dishing out from that kitchen. Special Thanks for Karan Khilnani and Vijeta Singh for inviting us.